This week's guest blogger Liz Musil is a business, design, and tech coach living in Los Angeles, CA. 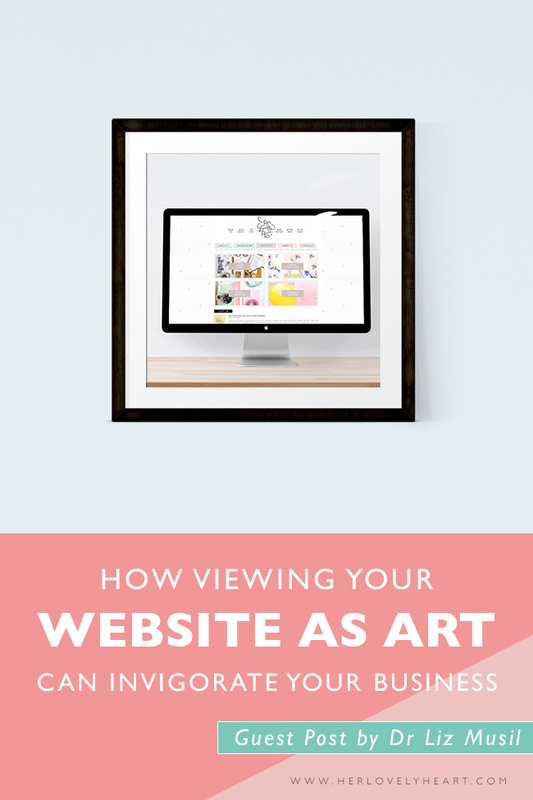 In this post she reminds us of the importance of treating our websites as art. People relate well with other people. When you are building a website, or writing a blog to help promote your business or craft and develop your vision and brand; it is best to add an artistic center that allows people to relate to you and your company as an individual. As a business owner and an artist you want to make sure that you state the reasons why you are great and shout them from the rooftops. Your passions are what make you the best in your subject area, so show them off! Individuality and showing a different side to yourself or your business than what people can see at a trade show, an event, or a store front is important for them to continue to come back to your blog or website. When people have something in common with your business or art they will connect with your company on an emotional level because of the shared passion, which will initiate brand loyalty. Just like when visiting a museum and studying the art, or listening to music and feeling the soul behind it, the same needs to be accomplished with your website. In your everyday business, how do you show that your your customers are your first focus, before the bottom-line? Translate this to your website. A way that you can achieve this is by showing videos of customer testimonials, or times where you moved mountains to assist someone. As an artist, you may want to consider video or a time lapse where it shows how you have created your art, giving the viewer a window into your depth of vision. Another way to evoke emotion, and connect with people on a deeper level, is applying colour psychology and typography. Different colours and font packages effect the emotion, expectations, and readability of your websites. Understanding the use of colour is important when trying for specific emotion. As an example, the colour blue is equal to safety and health. How you have your typeface set up also either assists or hinders your communication with your reader. An example of this is a flowing, cursive script which may lose some readers because they believe it to be too formal for what they are seeking. So, how does showing that your business is multifaceted and able to trigger emotion good for business? As humans, our brains remember things better when there is an emotion attached to a memory. With the help of digital media such as video, slide shows, colours, and font packages, viewers build that emotional memory. When you are able to generate an emotion, you start establishing a relationship with your target audience, which gives you an opportunity to grow brand loyalty and create instant recognition. Once you have established an emotional memory, any time that your target audience needs a product or service you specialise in, they will immediately think of your company before the competitor. 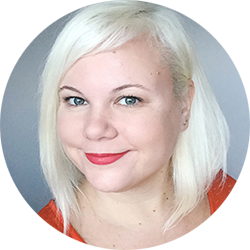 Liz Musil is a business, design, and tech coach living in Los Angeles, CA. She is a university professor in business & information technology, an author, and a web developer. She has a doctorate in management and organisational leadership, and has been an online entrepreneur since 2002. Visit her website for more advice and coaching.